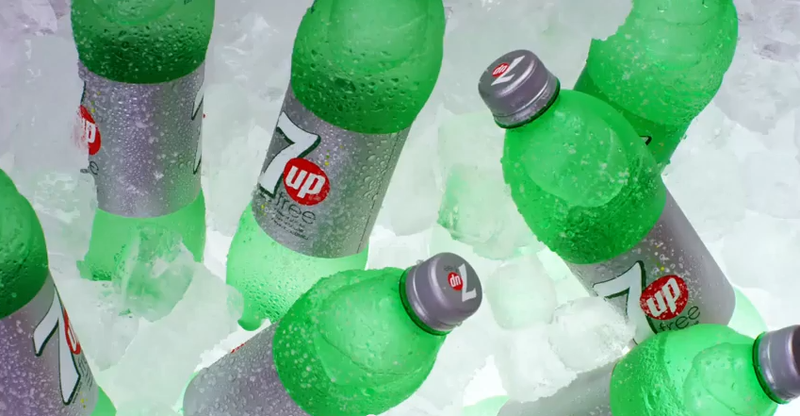 Sugar Free drink 7up Free has repositioned around “non-conformity, originality and wit” and new cans and bottles have been redesigned in-house by the PepsiCo’s Design and Innovation Centre. The rebrand will see a global roll out beginning with the UK and Ireland before the end of November. PepsiCo’s Design and Innovation Centre is behind the strategy, as well as a new visual identity and an integrated marketing campaign. A spokeswoman for the company says: “Building on our brand’s authentic equity and history, our new branding stays true to 7up’s witty, naturally confident character. Meanwhile the multi-channel Feels Good to Be You campaign will roll out to more than 140 countries and will include two ads – one about Magda Sayeg, a guerilla knitter, and the other about Marty Cooper an animator and cartoonist.